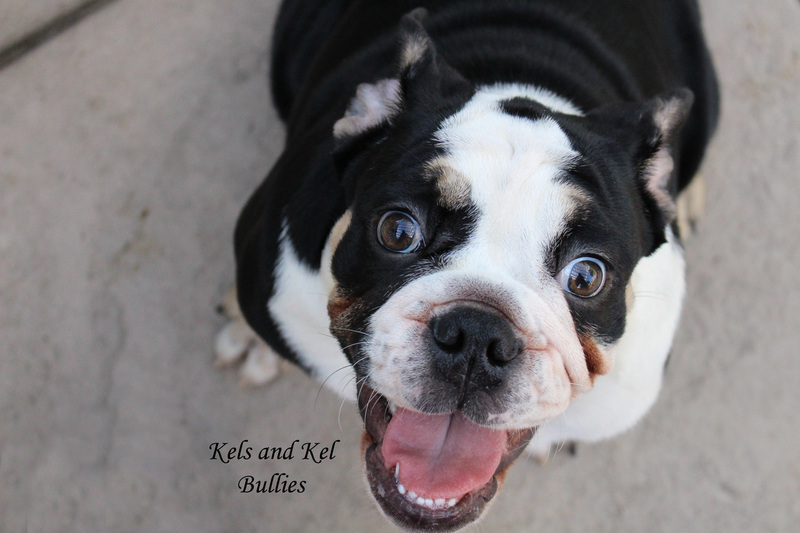 We are currently raising AKC French Bulldogs and English Bulldogs. We are a firm believer in quality over quantity. 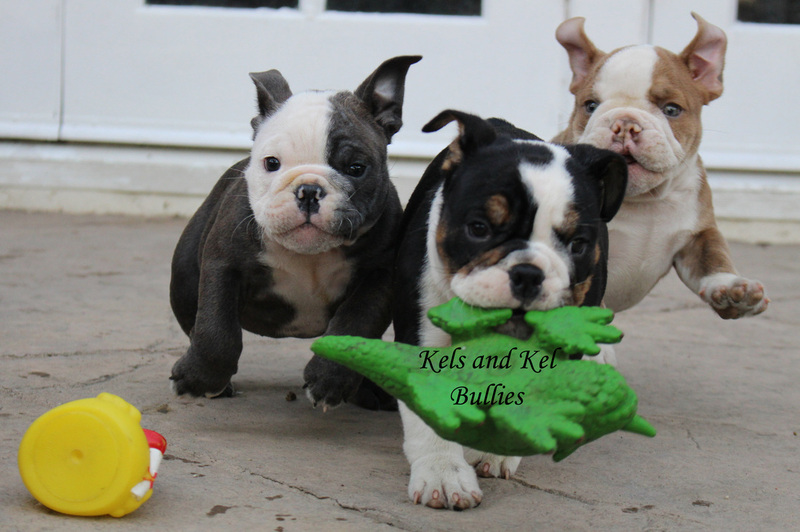 All of our bullies have been hand selected because we feel they are "the whole package". We specialize in rare colors: blues, blacks, chocolates, lilacs and all shades of tri. Of course the color is just the "paint job" and our main priority is always superb conformation, personalities and health. We stand behind our dogs and all puppies come with a 1 year health guarantee against fatal congenital defects and first shots/wormings. All our puppies sell to good homes only and we reserve the right to refuse to place a puppy if we do not feel the home is appropriate. Bulldogs are indoor dogs and do not do well in extreme heat or cold. Bulldogs are amazing family dogs but if you are looking for a running partner, this is probably not the breed for you. They would much rather be your couch potato companion, although they definitely can be rowdy at times. We generally find that the frenchies are a bit more high energy than the English but they all have their own individual personalities. All our dogs are raised and live indoors. They receive the best of care and grow up around other animals and people. The majority of French and English Bulldogs are born by c-section and have to be artificially inseminated. After they are born, they cannot be left with mom so we must get up every two hours to watch them nurse. 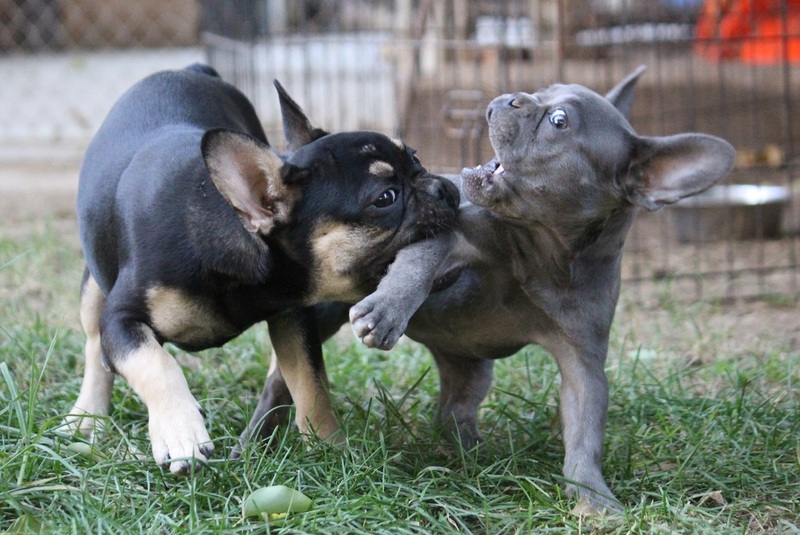 Bullies can be clumsy and can accidentally squish their pups. They are a LOT of work to raise....like having a new born baby times 6! But, they are well worth it! This is one of the reasons bulldogs are so people oriented. They are with people from the time they are born. This also accounts for their higher prices compared to other dogs. It takes a ton of work and money just to produce them. But, I think you will agree you can't beat their personality and how could you not just love that face? Come meet our bullies and you will never own another breed of dog again!